& I am featuring two adorable Tilda's from Magnolia's Lost & Found Collection. I also have a card to share which I created a few weeks ago & it has been sat in my craft room all neglected & just awaiting being photographed. This card seems like the first card I've created in a long time for no particular reason other than I felt like it & I really enjoyed creating it. I've used some gorgeous goodies from Simon's Valentine release 2014 as well as another adorable Tilda from the Special Moments Collection. Hi Mandy your cards are stunning!! i looked at all three wow you always blow me away!!!!! 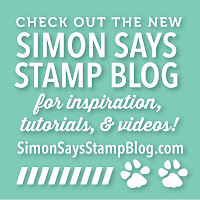 Jumped over here from the Simon's blog. Your cards are gorgeous. Loved seeing the additional Mr. & Mrs card. WOW!!! Your wedding Card is Stunning!!! Love your coloring.. Fantastic Design.. and Beautiful Big Bow... Love the Colors and Style!! 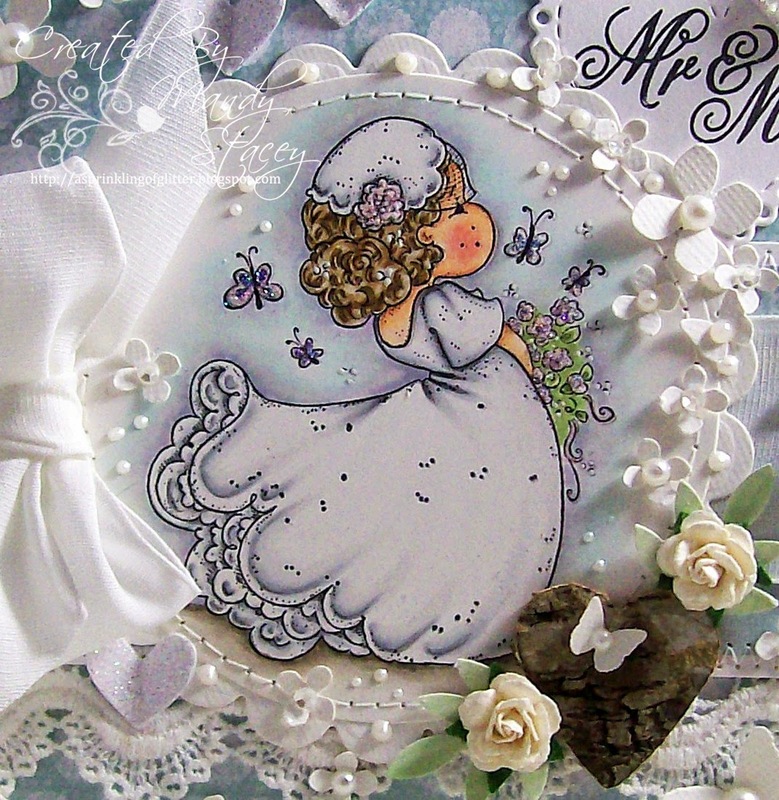 FAB Wedding Card.. Great Details too!! Have a Great Easter.. I am going to work today.. working Every Easter day for a week, starting tomorrow..!! 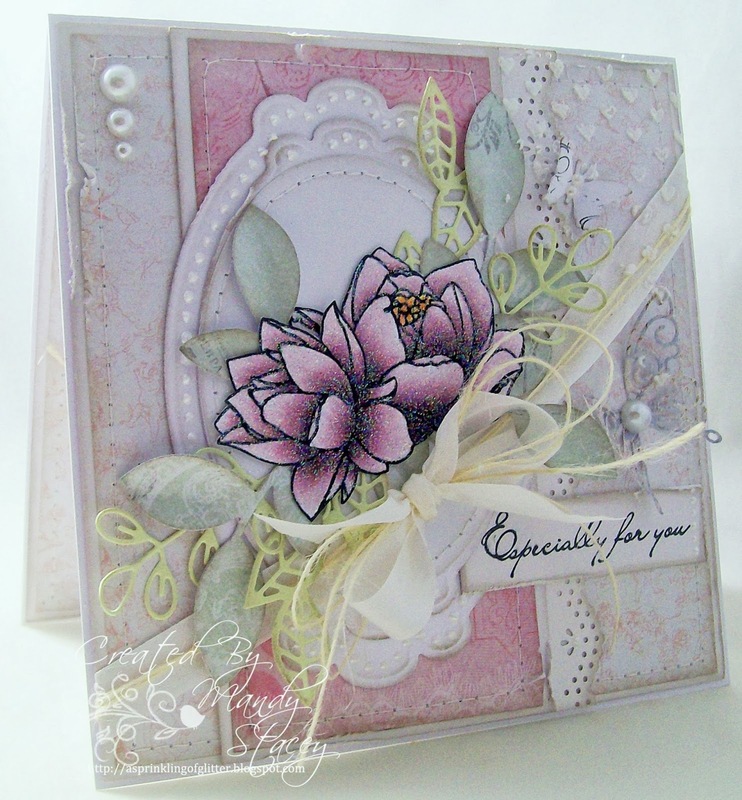 Two totally gorgeous cards over at SSS and another one here, blimey but you've been super busy! Your like the Duracell bunny! This is gorgeous Mandy. Love the image and fabulous design. Such a beautiful colour scheme. 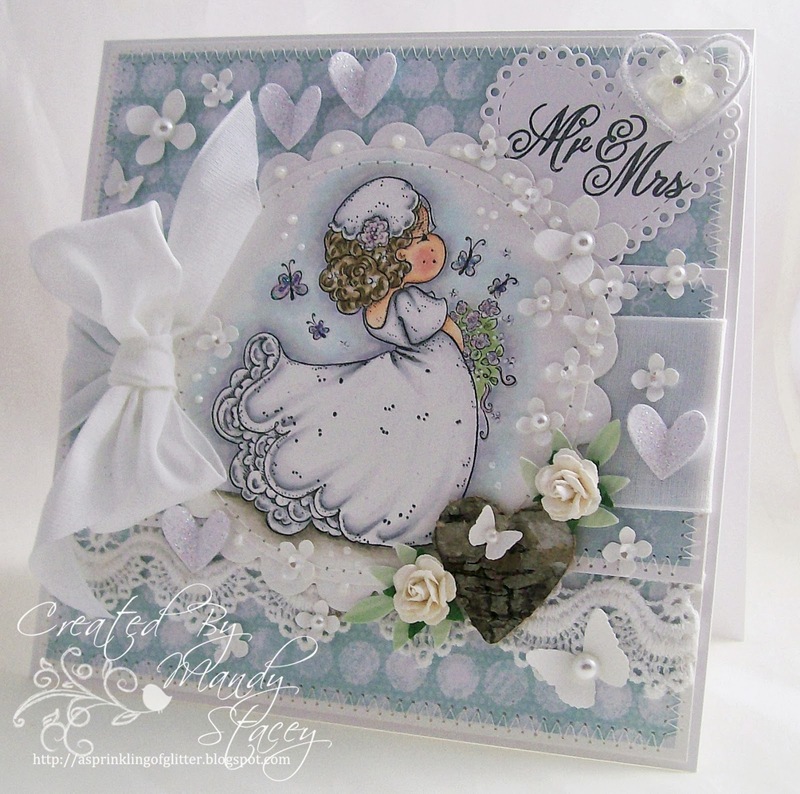 Gorgeous card, Mandy.Love the embelishments and the soft colours. Gorgeous cards as always. I really admire the way you add so many embellishments & make them look beautiful. I just can't make them like that as I feel I'm overdoing it & always end up with CAS cards. Your work is stunning! 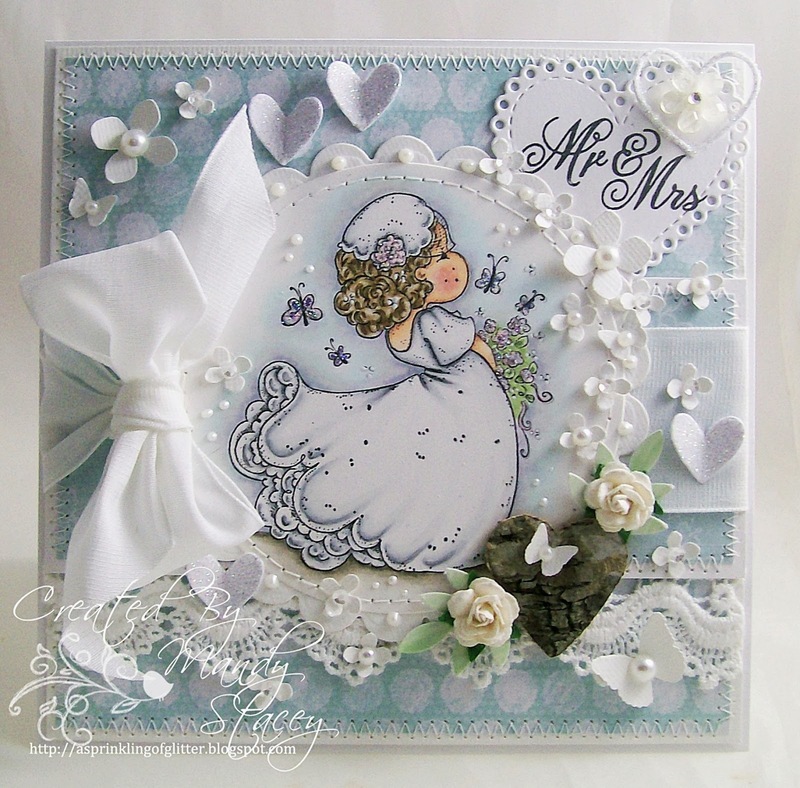 Loved the 2 on the SSS blog & the wedding card you made for fun is absolutely over the top!